Why pay the huge capital costs for the infrastructure and ongoing maintenance required to host file and email servers when everything is taken care of within Microsoft’s secure cloud infrastructure at a fraction of the cost? 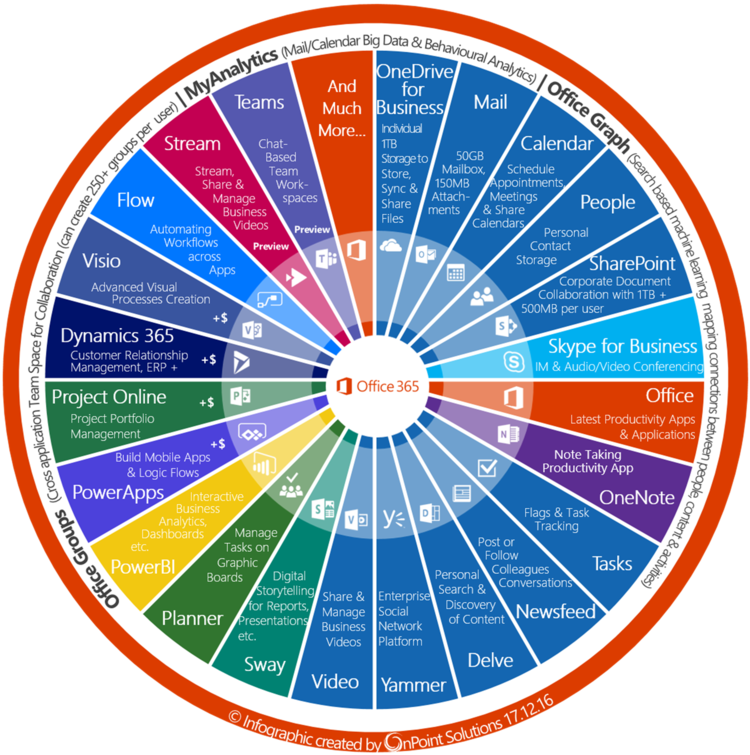 Office 365 enables businesses large and small to take their applications and storage to the cloud, providing company-wide benefits with ease of access, security and comprehensive functionality. Licenses work on a per user per month subscription model, with various price points dependent on the services required, starting as little as £3.80 per user per month and no upfront implementation costs as with traditional solutions. Our Strategy 365 experts can help your business migrate to or implement Office 365 and enable you to get the most from Microsoft’s powerful suite of applications. Complete the short form below and one of our experts will be in touch to discuss your Office 365 requirements.